Fiscal debt, as opposed to ordinary debt, is a phrase normally associated with a government's fiscal balance. Fiscal debt and fiscal deficit are related and sometimes used interchangeably when discussing the financial standing of a government. According to Investopedia.com, fiscal debt is the accumulation of a government's fiscal deficits over time. The fiscal debt is the total amount a government owes to creditors. 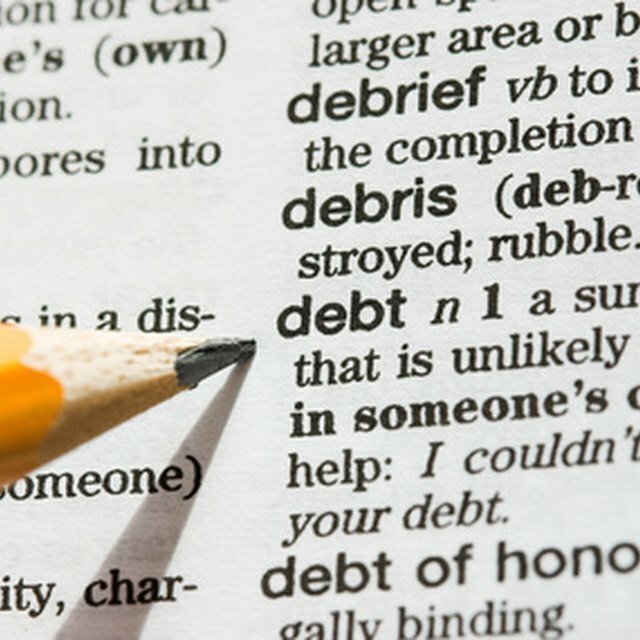 Debt and deficit are not the same even though many people use the terms interchangeably. A fiscal deficit occurs when a government's expenditures are more than the revenue generated. This occurrence is typically limited to time frames, such as a quarterly fiscal deficit or a yearly fiscal deficit. Fiscal debt is all the debt regardless of time frame. While long-lasting fiscal debt may have a negative effect on economic factors such as inflation and the value of the dollar, some economists believe that a fiscal deficit can help bring a country out of a recession. This was the belief of the late John Maynard Keynes. What Is the Meaning of a Steering Committee Meeting?